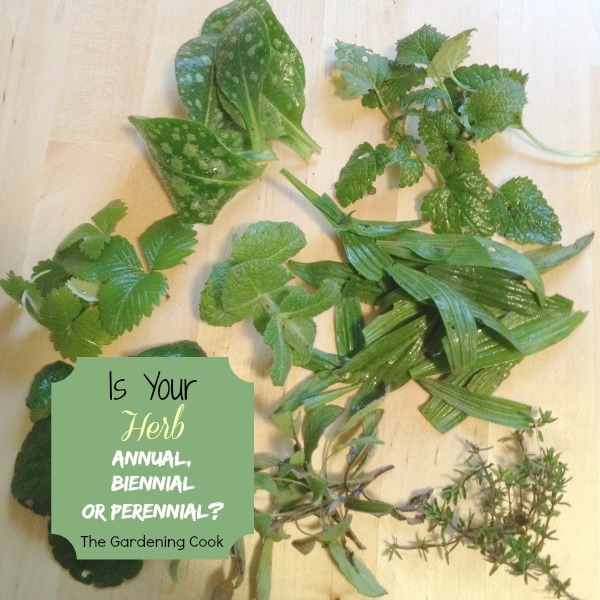 Fresh Herbs – Annual, Perennial or Biennial – Which is Yours? There is nothing quite like the flavor of fresh herbs for cooking. Growing herbs is something that many cooks try their hand at, to have them on hand all the time. 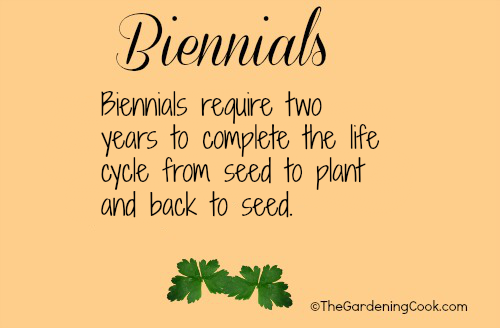 Do you know whether the one you are growing is an annual, \perennial or biennial? This can sometimes be confusing and the answer is not always cut and dried. If you enjoy vegetable gardening, be sure to have some herbs growing, too. They like the same conditions as most vegetables. 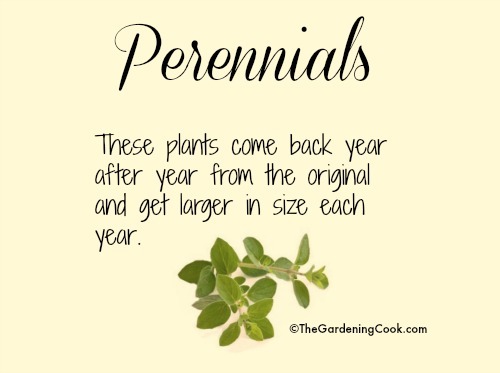 Are your fresh herbs an Annual, perennial or biennial? It is easy to tell with this handy chart. Identifying herbs can be somewhat of a challenge at times since many of them look similar. Be sure to check this handy chart for herb identification . Cooking with fresh herbs makes every recipe much better than if you just used the dried version. But were do you easily get fresh herbs? Dried herbs last quite a while in the pantry but fresh herbs have a limited lifespan, so they will need to be replaced. When the summer comes to an end and frost is on the way, don’t despair. There are lots of ways to preserve fresh herbs to use during the winter months. You can also try growing herbs indoors during the colder months. Thanks to nature, the answer is right in your own back yard, or on your patio. Some stores even stock a limited range of herbs in the fresh produce department. 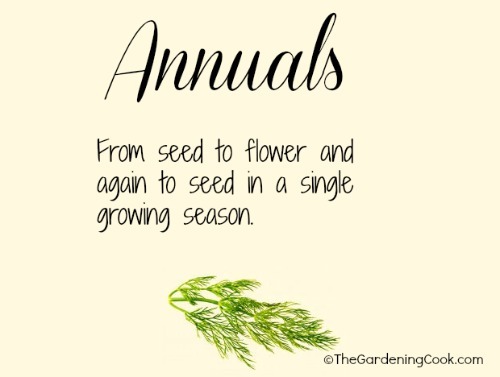 Just like flowering plants, herbs come in several varieties – annuals, perennials and biennials. Some do better than others if you try to grow then in pots inside the home. See this post for my favorite herbs to grow indoors. Dill (this herb is actually a biennial but doesn’t like the frost so is normally grown as an annual. A few will cross over between annual and perennial depending on your growing season. So the above graph is not totally accurate but should give you an idea of how they behave generally. For me, even though I live in zone 7b and most will come back for me, I never get basil back, and tarragon is iffy at best. Chives often act like biennials for me. But some, like rosemary, thyme, and oregano are stalwarts that I can always plan on seeing each spring. 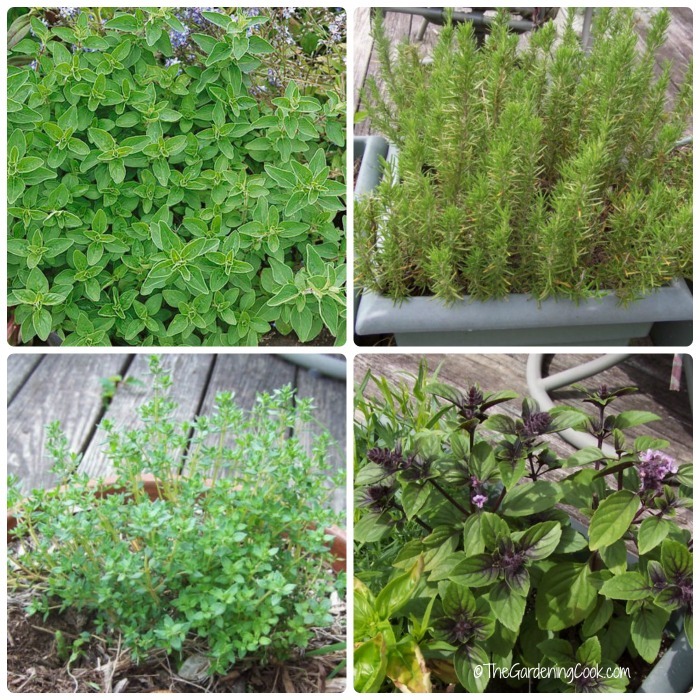 If you like cooking with herbs, I have put together my list of my favorite 10 herbs for the cook. 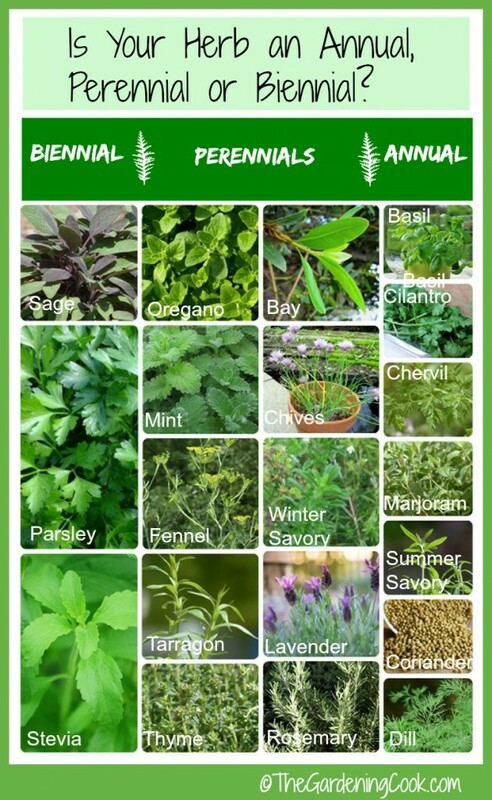 For a complete list of perennial herbs, be sure to check out this post and watch the video at the top of this page. For more gardening tips, be sure to see my Pinterest Gardening Boards.